All the world’s a stage, but here are some must-visit theatres in Bengaluru! 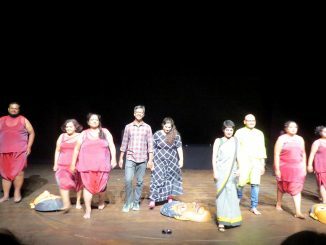 Plays in Bengaluru are a great attraction. With so many talented actors, directors and playwrights calling Bengaluru their home, it is but natural that many folks residing in the city are drawn to theatre. Though plays are performed at many venues in the city, there are a few places that can be counted on to watch the best of drama in Bengaluru. Some of these even have a show on every day! If you are one to watch a play every day, Ranga Shankara is the go-to spot. It has ‘a play a day’ policy, so you should be able to find a couple of shows that interests you every month. Ranga Shankara is all about affordable theatre; the tickets are usually priced around Rs 200. They also have AHA!, a theatre program targeted at a younger audience, so children have a place to explore theatre. A word of caution: they are sticklers for time, so if your show is at 7.30 pm, make sure you get there well before that, lest you miss the show. Alliance Francaise de Bangalore (AFB) hosts a number of theatre productions during the course of the year, including the annual short theatre festival, Short+Sweet. In spite of being a French cultural centre, AFB features a significant number of local artistes as well. Many of Bangalore Little Theatre’s performances and play readings are held here as well. To check out what’s coming up at Alliance Francaise, click here. Jagriti Theatre is a centre that showcases various kinds of talented theatre troupes and holds workshops as well. Their tickets are usually priced at Rs 300. The theatre holds a few workshops for different kinds of production work, and is a good place to get to the other side, from the audience to being a performer. While the enormous violin-esque Chowdiah Memorial Hall is a not exclusively dedicated to drama, many of the performance arts shows featured here are often theatrical. A play or two at the huge hall, filled with other theatre lovers, can really show you a different side of theatre. If you want to switch over to the other side, from being one in the audience to being a performer, there are several workshops and courses that you can be a part of. Bangalore Little Theatre, the city’s oldest theatre group is a great community to join. Their flagship program, Summer Project on Theatre (SPOT) is a great entry point for wannabe theatre actors. The next SPOT workshop is set to being on August 2nd. If you are looking to expose your child to theatre, the Bangalore School for Speech and Drama is a good place to start. There are also workshops at some of the popular venues like Ranga Shankara, Jagriti Theatre or Shoonya Studio. Dhaatu Puppet Theatre revives the age-old art of puppetry with most of their shows targeted at children. Most plays have dialogue in English or Kannada. The experience of theatre-puppetry in real life is one not to be missed. Keep in mind that these are monthly plays and each of the shows (3.30pm and 6 pm) on that day lasts around 45 minutes. A place to watch plays in Kannada is KH Kala Soudha, opened in 2010. Many plays have been held in the small hall with both balcony and regular seating. This venue also screens films, hosts musical performances and other events. For more details of the events at the hall, here. There are some other venues in Bengaluru which cater to theatre from time to time, like the Goethe Institut/ Max Mueller Bhavan (Indira Nagar), H N Kalakshetra (Jayanagar), Rangasthala (M G Road), Atta Galatta (Koramangala) and the National Gallery of Modern Arts (Palace Road). If they are in your vicinity, check out their schedules too. So what are you waiting for? Get dramatic! I have never seen the revolving stage at Ranga Shankara working! Also, I would include ADA Ranga Mandira, and Ravindra Kalakshetra as good theatre spaces.Plenty of smaller performance spaces like Untitled, Shoonya, and Jaaga also host theatre.